We make it simple so you can grow your business! Business Management System • Accomplish more in less time. • Increase your operating efficiency and reduce overall expenses. • Never manually enter an order again by using our Wire Service Integration Solution to provide more accuracy in less time. more production = more profit Concentrate on growing your business with our Business Management System! Provide increased visibility into your own business with intuitive, on-demand reports and our easy single-order entry screen that is fully integrated with BloomNet Essential catalog and BloomNet Commerce websites. Our Business Management System provides seamless customer service for all your transactions, from capturing orders, verifying addresses & routes, to printing professional enclosure card messages. It’s all available in one easy-to-use place! Interactively Engage with your customers! With our iCapture App, your customers can explore your products in your new DIGITAL catalog! Whether you’re out at an event or just across the room, you can provide a professional & mobile experience almost instantaneously. iCapture can also help close sales and process payments, email receipts to customers, and route the orders directly into your point-of-sale system of choice. Finding perfect arrangements has never been easier! Local Delivery Management Put more power into your Business Management System with our new Local Delivery Management solution. Improve your delivery service with real-time information & automatic updates, right from your drivers’ smart phone! 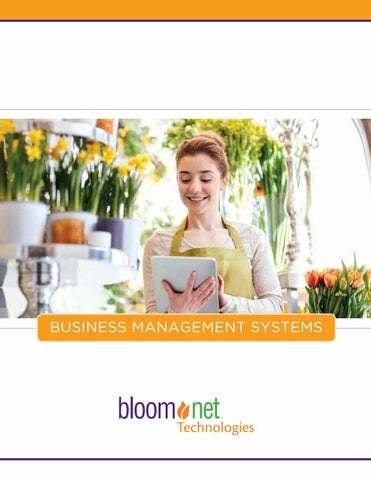 Efficient, Smart & Affordable Be successful with BloomNet’s Business Management System! There’s no long term contracts, flexible monthly payments, and the option to apply your monthly payments to your BloomNet Clearinghouse account! Testimonials I’m able to maintain my bookkeeping more efficiently with BloomNet’s Business Management System. Plus, with this tool, my orders stay organized and easy to fulfill. BloomNet’s Business Management System is a great delivery system! We appreciate the accuracy of the delivery confirmations on a regular day-to-day basis. And during the holidays, the more orders completed correctly means more money for our business! BloomNet’s Business Management System has made our day-to-day operations more efficient. It makes pricing products easy and prints professional delivery cards, which our customers love! We’ve found other companies to be more expensive, so we’re very satisfied with our decision to use BloomNet’s technology. We really appreciate being able to print delivery cards whenever we need them. The system is very easy to use, and the cards come out looking very professional! Overall, BloomNet’s Business Management System is a great tool to have in our floral shop! In terms of the organization, BloomNet’s Business Management System is the best! You can see alerts, messages and detect a problem right away, while keeping everything in order, and up to date. 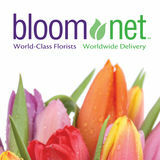 Programs Producing Profit BloomNet Technologies gives our florists the edge needed to stand out above the crowd. Our innovative tools and trusted services prove weâ&#x20AC;&#x2122;re committed to growing your business both in store and online!